The death of Michael Jackson, the King of Pop, brings back memories of his visit to Mumbai nearly 13 years ago. I was in my third job with a Hindi news channel — a music lover, but definitely not an MJ fan — and was given the daunting task of covering his stay in Mumbai. Jackson was to perform on November 1, 1996, at the Andheri Sports Complex as part of his History world tour. Raj Thackeray (now president of the Maharashtra Navnirman Sena) had floated an organisation called the Shiv Udyog Sena, and being a fan of MJ, roped in event company Wizcraft to get Jackson to perform in Mumbai. Raj was still a part of the Shiv Sena at the time, and close to his uncle, Sena chief Bal Thackeray. Raj received tremendous flak for the event, but Thackeray senior stood by his nephew. On October 30, 1996, MJ was to land at Mumbai’s Sahar airport in his private jet. 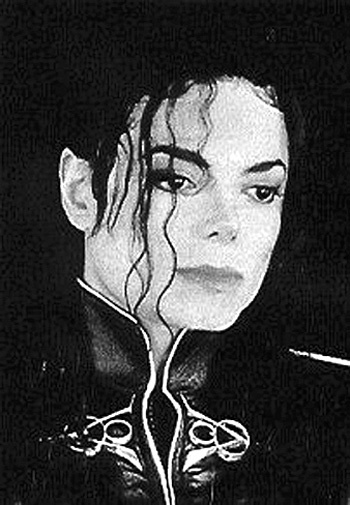 For days in advance, I had been pursuing people closely connected with the event, one of them being a man who was to provide MJ and his troupe with vehicles. Along with the contract that he’d signed came a nine-point letter listing out conditions. The man was given a specific time frame within which MJ would have to reach Hotel Oberoi, now the Trident; there was to be no lapse. Part of my assignment was to cover trial runs of the vehicles prior to MJ’s landing, and these would take place at odd hours, from the wee hours of the morning till late at night. Eventually, my efforts paid off and the man allowed me to take a video of the contract he’d signed for the event. Waiting for Jackson to arrive was thoroughly entertaining in itself. Lakhs of people had thronged the airport to catch a glimpse of him. Before he landed, I moved around trying to catch hold of all people I knew, so that we could get a closer glimpse of the King of Pop. Among the celebrities and dignitaries present there, I remember actress Sonali Bendre clad in a nine-yard sari and a Maharashtrian nathni (nose ring), standing with an aarti thali to welcome MJ, along with Raj Thackeray, Sharmila Thackeray and innumerable politicians who were there to receive Jackson. When he landed, Gajanan the cameraman, Irshad the assistant and I went around trying to get fresh visuals of the frenzied mob calling out to Jacko. Outside, Raj had organised a performance by a troupe of lezhim dancers with dholaks, and they wore traditional Maharashtrian clothes. They danced even as cars whizzed passed them, little knowing that they would soon have a ‘moonwalker’ in their midst. Suddenly, an Air India employee I knew called out to me from the cordon around the lezhim dancers. He screamed in Marathi that MJ was at the centre of the formation. This was my moment as a journalist, exclusive footage: I was pulled inside the cordon and suddenly found myself standing next to a person white as snow, with pink lips and a hat, toggling his black glares at me in greeting! I stood stupefied and realised the pink lips weren’t those of Madonna — it was Michael Jackson himself. This assignment raised my stature in the eyes of close relatives, who wanted to attend Jacko’s show. Being part of the so-called vernacular media, we were not considered eligible for free passes; however, we got entry passes for the entire camera crew, along with strict instructions. There were no cell phones at the time, only pagers and telephones. However, I was thoroughly in demand for the numerous requests I got, asking for passes. Businessmen were willing to pay five times the cost of the most expensive ticket, which was Rs5,000. From that point on, my life wasn’t the same. I was on duty round the clock. Girls thronged the Oberoi to catch a glimpse of the pop star, and I hovered nearby for a dekho. MJ was ensconced in the hotel’s Presidential Suite and later left his autograph on one of its mirrors. We were heard tales from the hotel of how he slept under an oxygen tent, and there was a lot of secrecy surrounding his lifestyle. During his short stay here, life in Mumbai centred around MJ and his “stories”. Constables from the Mumbai Police complained that their lives now revolved around controlling frenzied fans outside the Oberoi. Facilities provided to them were even more basic than today: they subsisted on vada paav and sometimes did not go home despite being on duty for 48 hours straight outside the hotel. Local celebrities, meanwhile, did not leave any stone unturned to get that coveted pass and invitation to a dinner hosted in Jackson’s honour. On the day of the concert, I was to reach early because we were categorically told that the crew needed to check their equipment, we would have to undergo security checks and finally would be allowed to shoot only 1.14 minutes of footage! The organisers would then give us some extra visuals to use as fillers for the story. It was a daunting task, and as someone who was not a fan of MJ’s music, all this contributed to putting me off. Suddenly, MJ pulled a girl from the crowd and for the next 10 minutes, we saw them clinging to each other, as if transfixed. Later, when she stepped off the stage, she told me it had been a dream come true for her.